Here's what I've been up to lately at Mommy's Best Games. As you can see, delightfully, it's almost solid game development! 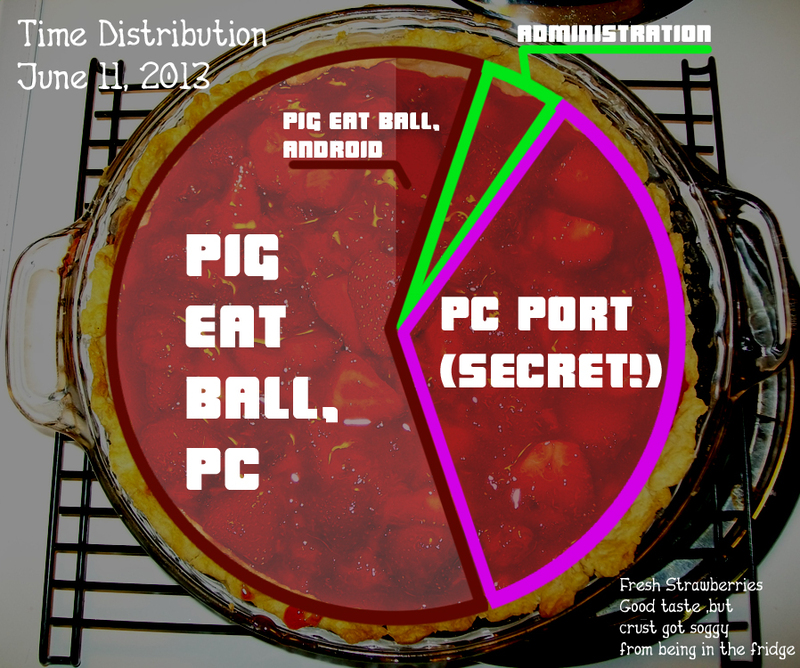 We're deep in the middle of work on Pig Eat Ball, coming to various (TBA) platforms. I've already gotten the Android tablet version working pretty well, now I'm on the PC version, adding content, and ensuring the controls work great. 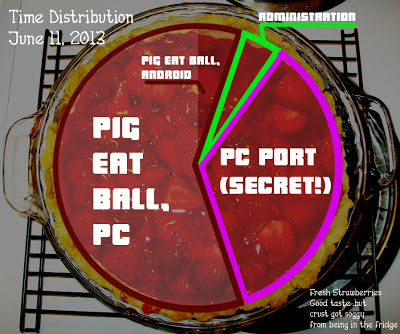 The little pie sliver for Android represents that I have to go back and forth sometimes to prevent code rot. And the rest of my recent time has been spent working with our new Community Manager, Alex Langley, and getting him up to speed. Alex is already doing a great job helping get together some fun MBG Facebook posts like this! As you can see, not a lot of marketing push at the moment. It's nice have a break, shifting back and forth between lots of development (like now), and other times around game launches, more marketing.